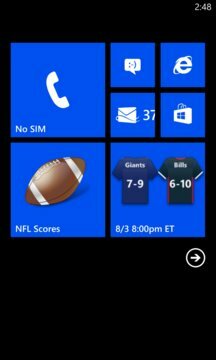 Get FAST scores, stats, standings, alerts and LIVE tile updates for all NFL games! 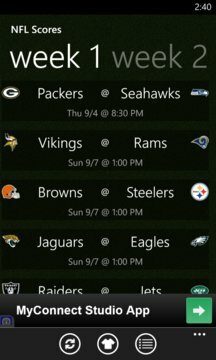 * note: This app is not affiliated with or endorsed by the National Football League. Any trademarks used in the app are done so under "fair use" with the sole purpose of identifying the respective entities, and remain the property of their respective owners.